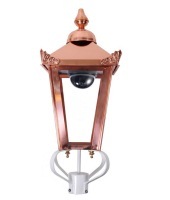 For the perfect finishing touch to your lamp post our lanterns are traditionally crafted from only the very best of materials, combining classical style with modern functionality. 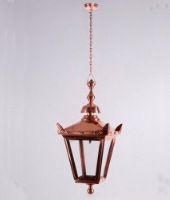 Our range offers the unrivalled choice of our stunning designs, as well as allowing you to hand pick the ideal size to better complement your existing lighting. This exquisite collection is also home to our exclusive hanging lanterns, creating a show stopping outdoor feature while effortlessly illuminating your grounds. 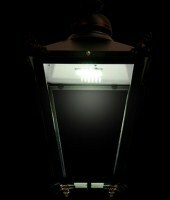 With the security and privacy of your home and grounds in mind we have also created a range of security lighting to provide peace of mind along side classic beauty.